Ah the Rum Runner. A quintessential tropical cocktail, this concoction hails from Islamorada, Florida circa 1950. Created by a bartender using whatever extra ingredients he had lying around, the Rum Runner became a supremely sweet staple of warm-time weather cocktails. 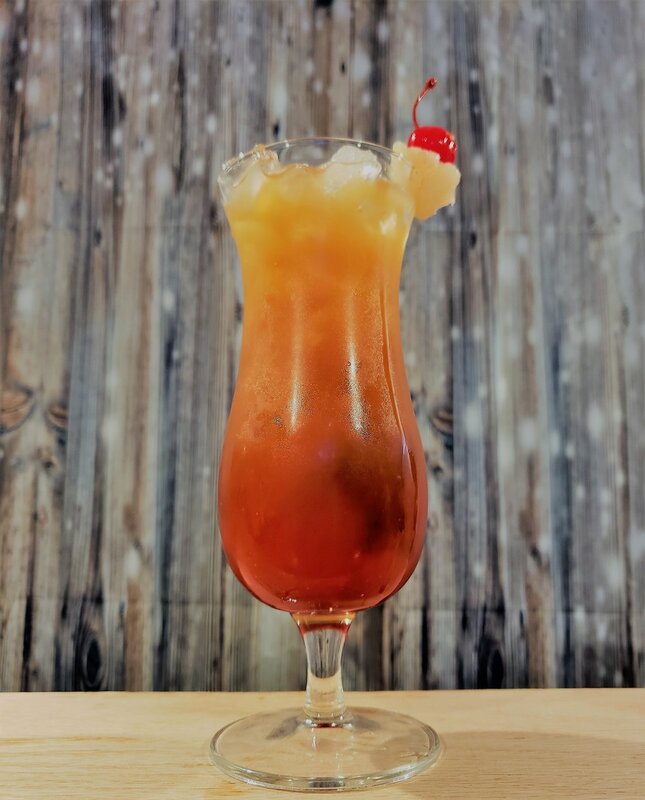 The Rum Runner has dozens of variations and recipes, but always features the combination of two types of rums; in our version we prefer silver and dark rum, however coconut, flavored, or spiced rum can also be used. Place all ingredients except grenadine in a shaker with ice. Shake vigorously and strain into a hurricane glass or fishbowl. Add a splash of grenadine. Garnish with cherry and a pineapple wedge.